Do you lack the desire to get important things done? Are you tired of wasting your life and not living up to your true potential? Whether you want to (1) feel the desire to compete again, (2) learn how to light a fire under yourself to get powerful results, or (3) find ways to sustain your motivation over the long term, this audio book will teach you everything you need to know. Do you fail to see a reason to do anything? Life is so much better when you have the inner drive - the motivation - to go after your goals and dreams with reckless abandon. Motivation is powerful enough to rout you out of bed in the morning and keep you focused, no matter what disruptions cross your path. Now you can tap into this mighty force on a consistent basis! Transform your life by nullifying procrastination. I have packed this audio book with the best easy-to-learn motivational strategies that will only become more effective over time. Learn to identify things that would knock the breath out of your motivation, then disable them before they get started! Tap into the core of your heart's desire, and you have unleashed a dynamic force that can help you accomplish wonders! Discover how to sustain your motivation. Motivation is only useful if it carries you to the end of your pursuit. Anything you can do to fuel your motivation along the way will be helpful. There are specific habits which, once established, will provide a steady stream of nourishment to your motivation. Ready to start truly living? Put the charge back in your life: Buy It Now! Get Motivated Today, Rather Than Tomorrow! 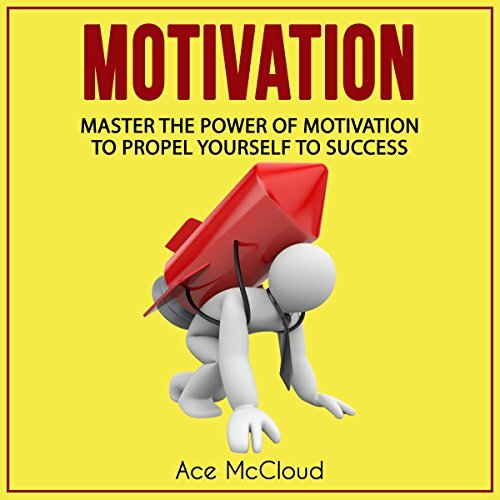 Carrying the popular theme of empowerment, engagement, and encouragement, Ace McCloud continue the tradition of great writing with this book on motivation. I, like many others I am sure, tend to be motivated to do something but we end up procrastinating and waiting until later. And of course, most of the time later never comes and tomorrow is ever elusive. McCloud makes it easier to say yes and to stay motivated by implementing the tips, ideas, and methods that he puts forth in this book. I found them easy to understand and most importantly they are easy to apply to my day to day life. I have already begun to use some of what I have learned and I am seeing the difference! You have nothing to lose and everything to gain so say yes and find your motivation today, rather than tomorrow. The most powerful motivational book! If you could sum up Motivation: Master the Power of Motivation to Propel Yourself to Success in three words, what would they be? The three words I would choose are inspirational, informative, and helpful! All the helpful tips and information that Mr. McCloud supplies in this book. For those who want to up their motivation, or help others get motivated, this audiobook is a must have. It really helps you gain more motivation and stay motivated. Joshua Mackey has a strong voice that demands your attention while he reads. I think that's great when buying an audio book, especially such a helpful book as Motivation by Ace McCloud! I think that would be chapter two; which is motivation and self-regulation. Learning about the self-regulation theory helped me understand my motivation, and even my willpower. It also taught me simply to, like Ace says in the book, "stop buying little things to turn that money into something I could buy that is bigger and nicer". Ace McCloud is a guru when it comes to self-help. Whether its for physical issues or to help you make your life better, each book he puts out makes a difference in your life. With motivation, I find this book is incredibly helpful and can change my life. I feel it can change the lives of others as well, if they follow the tips and study the information supplied in this book. Mr. McCloud is a talented author and does his best to help those around him. He sure helped me improve my motivation, my health, and my life! Staying Motivated is simpler than you think! Where does Motivation: Master the Power of Motivation to Propel Yourself to Success rank among all the audiobooks you’ve listened to so far? 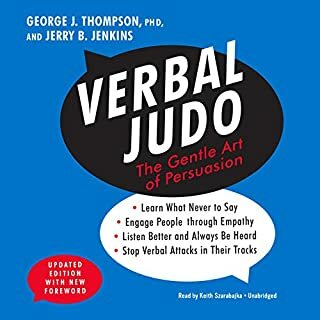 This book is second only to the Leadership audiobook by Ace Mccloud. They go hand in hand with one another, as becoming a leader is only possible if you're motivated enough to make it happen. Joshua Mackey, as always, reads things in a clear, concise fashion. You really can't ask for much more. If you're having trouble achieving your goals or changing your lifestyle, then you NEED this book. It lists everything you need including helpful tips and the thought processes you'll need to stay motivated. Stop wasting your life away, and grab it before you miss out! Motivation rules everything and you will learn how to build upon it and improve your life! Everyone wants the secrets to being motivated, whether for a career, personal life, or even the motivation to help others succeed. With this book, you will learn motivation techniques such as how to practice accountability and eliminate negativity. Learn what kills motivation and find some great role models whose stories inspire action to change your life. Figure out where you want to start, make a plan, and find success. This book will teach you how to get where you want to be. This was a really great audio that is filled with solid advice and strategies for getting and staying motivated. I didn't realize that motivation was like exercise... you need to do it on a consistent basis. I really liked the section on personalizing your own plan for getting and staying motivated and the quotes where really good. It also had some great habits for staying motivated and some inspiring stories as well. Definitely recommended. What did you love best about Motivation: Master the Power of Motivation to Propel Yourself to Success? The book gives a multitude of suggestions, exercises and life style changes that will help you motivate yourself to do just about anything you want to do. It is very uplifting and all the suggestions are practical and doable. Some suggestions are common sense, but others you never would have thought of by yourself like doing visualization exercises or looking at things from a different angle. What was one of the most memorable moments of Motivation: Master the Power of Motivation to Propel Yourself to Success? I really enjoyed the chapter on Motivational Roll Models. It takes different popular people in the limelight and explains how they motivated themselves to be a success. It includes people like Thomas Edison, who failed 1000 times before he actually was successful with the light bulb, and Maya Angelou, the prolific and profound poet of our century. I have listened to Joshua Mackey's performances many times and I am never disappointed. His voice is easy to listen to and he always sounds enthusiastic about everything he reads. Some of the motivational quotes are very moving and motivating. They help you to get off your rear and start doing something to change your life. The book gives you several valuable techniques that will start you on your way to being motivated and to help you motivate others. It goes into detail on types of motivation and discusses theories that are associated with motivation techniques. 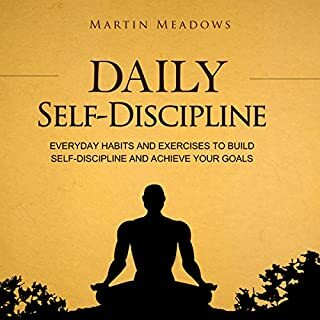 It helps you to develop an action plan to start your way on becoming and motivated and teaches you how to avoid and conquer obstacles that might stand in your way. Improve your life with the power of motivation! 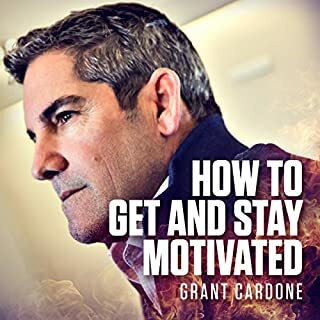 Would you consider the audio edition of Motivation: Master the Power of Motivation to Propel Yourself to Success to be better than the print version? I have to say, I do love to read but I really enjoy being able to sit back and listen hands free to the audio. I could be doing house work, driving in the car, taking a trip or even going for a run and all the while listening to this book. I think the text is great too though because some people are visual learners.The term "snuggle up with a good book" goes back to when we are children and were read bedtime stories so I think this is a great book to snuggle up with and read. So I don't think the audio is any better then the text, I love both! What other book might you compare Motivation: Master the Power of Motivation to Propel Yourself to Success to and why? I think Ace's book on leadership compares to this book on motivation in a way that being motivated and being a leader can both take you far in life. You have to be motivated to be a leader and and in a way you kind of have to lead yourself into being motivated. We all have the power to be motivated. We just need to learn to tap into that impulse. I love self help books! The narrator is great and I really enjoyed listening to this book. Made me a Master of Motivation!!! It has very simple techniques that I could teach myself on how to learn self regulation, developing goals and action plans, be accountable for actions and eliminate negativity completely. Motivation by Ace McCloud is one of the best books on motivation I have read yet. It is full of knowledge and information that is easy to relate to every day life. I especially enjoyed the chapter with motivational quotes. Great way to start out the day by listening. I especially enjoyed the chapter where Ace McCloud talked about motivation killers and what you can do to eliminate/manage them in your life. I recommend this book to anyone who needs some motivation in their life! Would you listen to Motivation: Master the Power of Motivation to Propel Yourself to Success again? Why? Yes; as someone who has suffered from low self-esteem in the past, I find any way to keep my motivation from flagging again to be useful. No particular moment; the whole book was on an equal tier of memorability. What does Joshua Mackey bring to the story that you wouldn’t experience if you had only read the book? His narrative style is one that is both easy to listen to, with a tone and mannerism of voice that is neither too serious nor too light-hearted. What did you like most about Motivation: Master the Power of Motivation to Propel Yourself to Success? This audiobook provides a great way to find yourself living a much more fulfilling and rewarding life. Almost everything you do in life can feel more meaningful once you regain your inner motivation. Not only do you feel it is more worthwhile, but once you are motivated you find yourself enjoying even mundane tasks. What other book might you compare Motivation: Master the Power of Motivation to Propel Yourself to Success to, and why? You can find many books about motivated people and what they have achieved. But the great thing about this book is that it helps you find you own inner motivation. In turn, this will enable you to reach your full potential. Adopt the best techniques for increasing your own motivation and changing your life. I really enjoyed the real-life stories of people who had found their own motivation and the changes this had inspired. Ace McCloud show you how you can incorporate their strategies into your own daily routine. He also adds some really effective inspirational quotes. Motivation will no longer be a problem for me! It was crammed full of really useful hints and tips that I could see myself actually putting into practice - so many books give you information, but it is just too difficult to do that you continue to procrastinate! I think it stands alone, I haven't read too many books on Motivation though as it is an area I have only recently decided to try and do something about in my life. I have, I am a bit of a Mackey fan, and yet again he delivers a great performance that makes the details sing out. I felt quite excited, and am enjoying putting some of it into practice - which I guess is a good thing as it was all about Motivation! Keep up the good work Ace, I love your books! Yes, I would definitely listen to this audio book again. It's all about how to motivate others but I found that I myself was motivated just while listening. It's a wonderful feeling to know that you can make these changes starting right now. 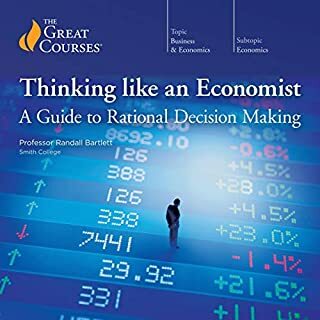 The methods explained in this audio book are smart, simple, and effective. If you're ready to motivate and be motivated, listen to this quick reference guide. It could save your business! As someone who has struggled with motivation at times this was a book I was eager to listen too.The thing I liked best about it is that the author doesn't just throw out fancy cliches, he actually goes into details about how and why motivation is important to us.The book is comprehensive in covering all aspects under the topic of motivation and it really does a great job of driving home, not only why motivation is important, but also how to maintain it. I enjoyed the section in which 10 different techniques to help stay motivated were detailed. In particular, the part that talked about how useful goals can be for ensuring this. Yes, the book flows very nicely and is very absorbing. The depth of details it provides makes fascinating listening. This is a great book for anyone who wants to learn more about how they can increase and maintain a high level of motivation. 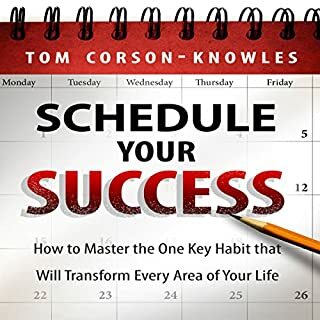 I found the advice in this audio-book really helpful, especially the step by step guides on how to set and reach goals, and how to use motivation to create more productive routines. I particularly enjoyed the chapter on influencing, which included techniques on how to influence and convince others and yourself. 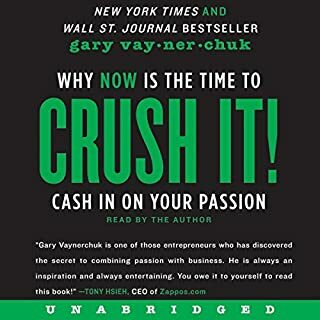 The audio-book left me with a feeling that anything is possible with motivation - highly recommended! Superb: for lack of a better word. Hmmh, this is not a storybook. A very inspiring book. One of the best personal development books I can remember reading. My main criticism is that it could use some guided process to help elicit your goals and the qualities you want to live by instead of just telling you to write them down. I'd also like more real world day-to-day examples of how to put these ideas to use... things that take the conceptual 10,000' view and bring them down to ground level. Motivation is a great listen that says what it does on the tin. With his usual enthusiasm, Joshua brings the content to life, as he moves through it at speed, with oodles of light and shade. The content is comprehensive, building on the foundation of a breakdown of what motivation is, through to a wide range of motivational theory. It then explores self-regulation, dealing with and working through the stress response, and ends with a huge number of motivational examples and tools. This book is a little nugget of goodness for anyone struggling to find the impetus to push through to solutions for life's problems. For me, the best moment was a link to the concept of tapping, which I hadn't previously been aware of but have found to be unusually effective in combating stress. I found this book extremely helpful on a personal level. I have always struggle with maintaining motivation and I found this very inspiring. It gave me a number of tips to help me maintain dedication and commitment to achieve my goals. It has a number of inspiring quotes from famous people that I would consider very successful, that I have taken note of to reread when my motivation may be low. ...all this audio made me want to do is turn it off. I'm fairly motivated and am always looking for books to nudge and help and boost motivation and discipline. It's not something one should ever stop looking to improve but this book is simply a series's of " maybe you can do this, it might be worth trying that, go to YouTube and look at this clip..."
Then there's the outdated references to how inspiring Lance Armstrong is. Honestly, don't get this book if you're looking for real motivation. It glosses over far too much and there are far better options out there.